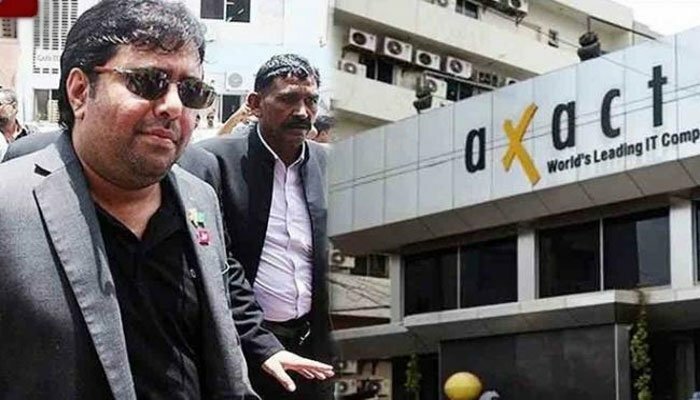 ISLAMABAD: A district and Session Court in Islamabad has sentenced Chief Executive Officer (CEO) of Axact Shoaib Ahmed Shaikh and 22 others to 7 years in jail in Axact fake degree scandal case. The court acquitted the accused in money-laundering and electronic crimes charges. The judgement was announced by District and Sessions Judge Chaudhry Mumtaz Hussain on Thursday. Shaoib Shaikh’s wife Aysha Shoaib among three accused have been acquitted in the case. Axact CEO Shoaib Ahmed Shaikh faced the trial afresh alongside other accused persons in fake degree scandal as an Islamabad High Court (IHC) division bench had set aside the October 31, 2016 acquittal order passed by a sacked judge, due to pecuniary interests of the judge in April this year. IHC division bench had set aside the judgment of sacked additional district and sessions judge (ADSJ) Pervezul Qadir Memon who on October 31, 2016 had acquitted 27 ‘Axact’ fake degree scandal accused. IHC bench had allowed Federal Investigation Agency (FIA)’s appeal for fresh trial and directed Session Judge (West) Islamabad to conduct fresh trial in this matter after hearing the parties. An ADSJ Memon on October 31, 2016 had acquitted the Axact officials from the fake degree scandal and later the judge on February 15, 2018 was sacked due to his admission of receiving Rs5 million bribe for acquitting the accused persons. ADSJ Memon had made this confession before IHC departmental promotion committee comprising Justice Shaukat Aziz Siddiqui and Justice Mohsin Akhtar Kayani.